More from Ora: 2016 Race: Can Anyone Stop Trump & Clinton Now? 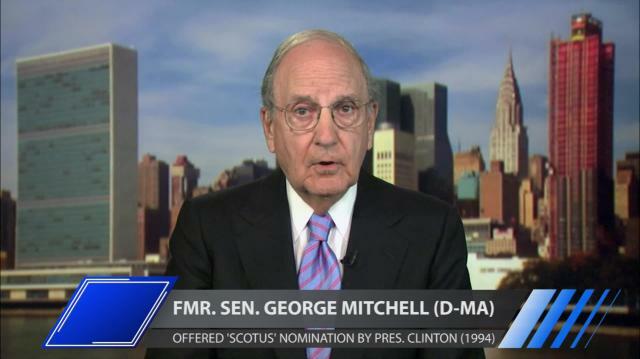 Former Senate Majority Leader George Mitchell says he tried, but failed to stop the 'downward spiral' of politicizing the judicial confirmation process & tells Larry about resisting pressure from his own party to block a vote on Clarence Thomas in '91. 2016 Race: Can Anyone Stop Trump & Clinton Now? Gary Johnson: Have A Vote & Axe To Grind? I'm Your Candidate! Where Have All The 'Missing' Migrant Children Gone?